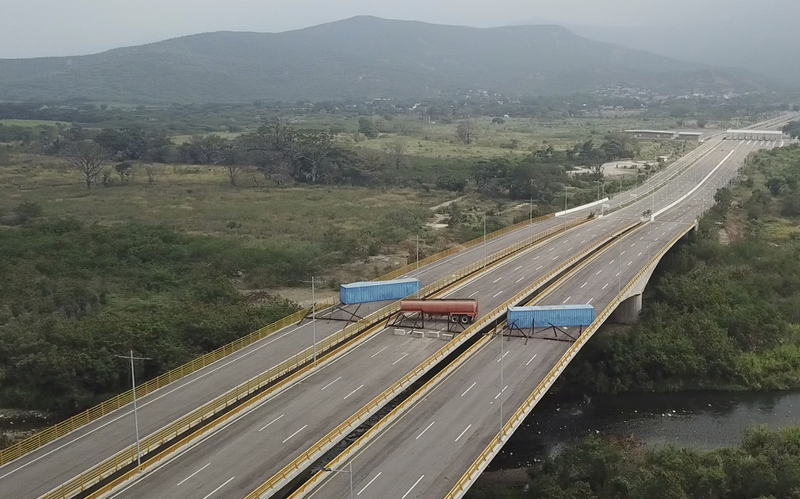 The Venezuela military under socialist dictator Nicolás Maduro has barricaded a key border bridge, effectively blocking humanitarian aid from entering the country, which has been wracked for years by shortages of medicine and food. The aid had been planned by opposition leader Juan Guaidó in conjunction with other nations, which recognize Guaidó as interim president. Roughly 40 countries around the world have backed Guaidó, who says that as head of the opposition-led National Assembly he is Venezuela’s rightful leader because Maduro’s re-election last year was a sham. Maduro has clung to power with the support of the country’s highest-ranking military officers. 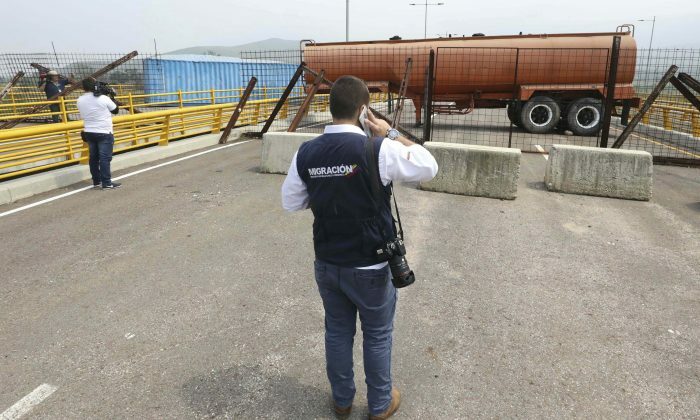 According to Colombia’s Ministry of Immigration and Immigration Control, it was the military that blocked the Tienditas International Bridge with a giant orange tanker, two large blue containers, and makeshift fencing near the border town of Cucuta. 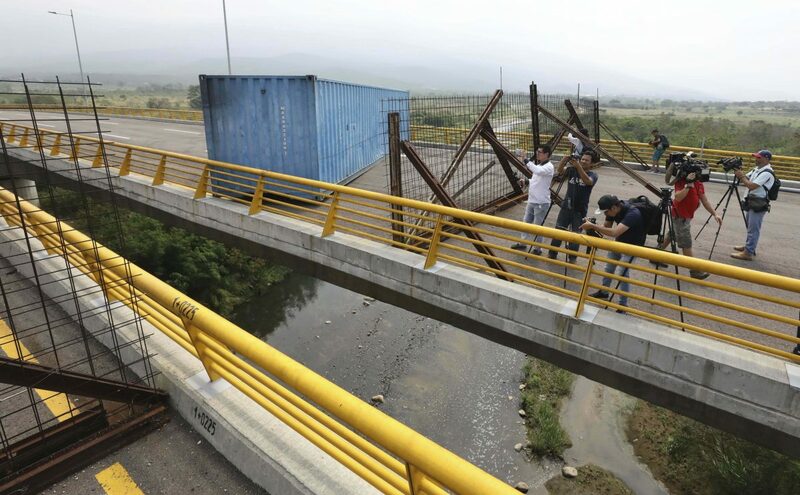 The bridge is not only a key entry point at the Columbia border, but also the site where officials plan to store humanitarian aid that Guaido is vowing to deliver to Venezuela. The Trump administration has pledged $20 million in aid and Canada has promised another $53 million. Venezuelan Jose Mendoza, 22, stood at the entrance to the Colombian side of the bridge holding a sign that said, “Humanitarian aid now.” Mendoza said he is tired of seeing Venezuelans suffer from food and medical shortages and that the military should stand on the side of suffering Venezuelans. Over 2 million people have fled Venezuela since 2015, according to the UN, driven out by the economic crisis under Maduro’s socialist policies. In 2014, the country’s economy—which was almost entirely reliant on vast oil reserves—was crippled when oil prices shifted. 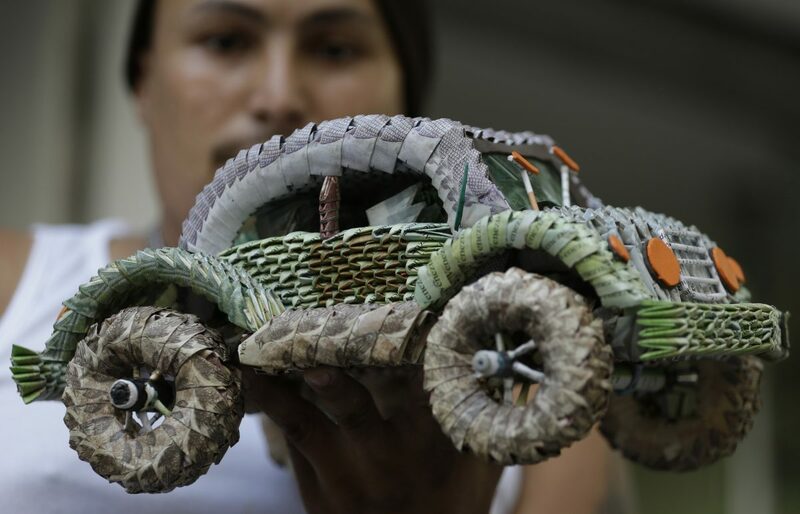 Last year, Maduro was forced to slash 5 zeros off the currency because hyper inflation, running at 4 percent a day, had left bank notes with less value than paper. 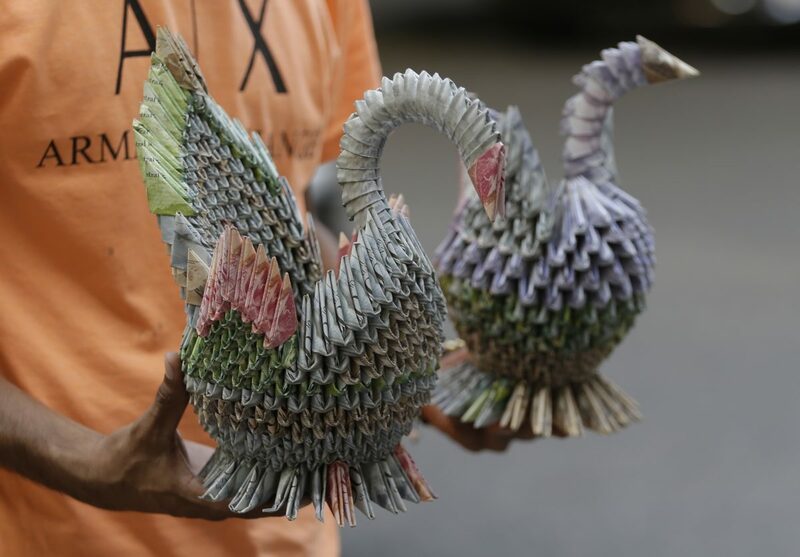 The IMF predicted in October that inflation would reach the annual rate of 10 million percent in 2019. In his State of the Union address on Feb. 5, President Donald Trump said that the United States stands with the people of Venezuela. Guaidó says the emergency shipment is a “test” for Venezuela’s armed forces, to see if they obey orders from Maduro, or if they allow the much needed aid to pass to the people of Venezuela.